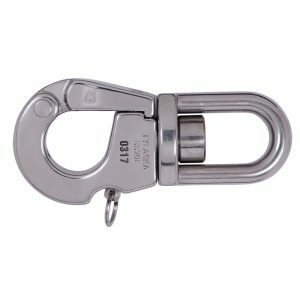 Tylaska’s LH10 self-locking hook is a forged stainless steel CE marked lifting hook that meets the requirements laid out by the European Commission’s machinery directive to be safely used as a lifting accessory. 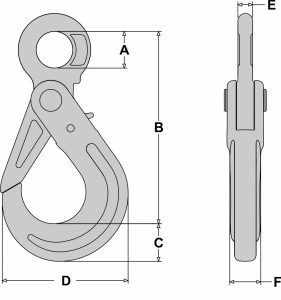 The LH10 is based on a standardized design and is equivalent in size and strength to existing size 10 grade 10 alloy steel self-locking hooks. 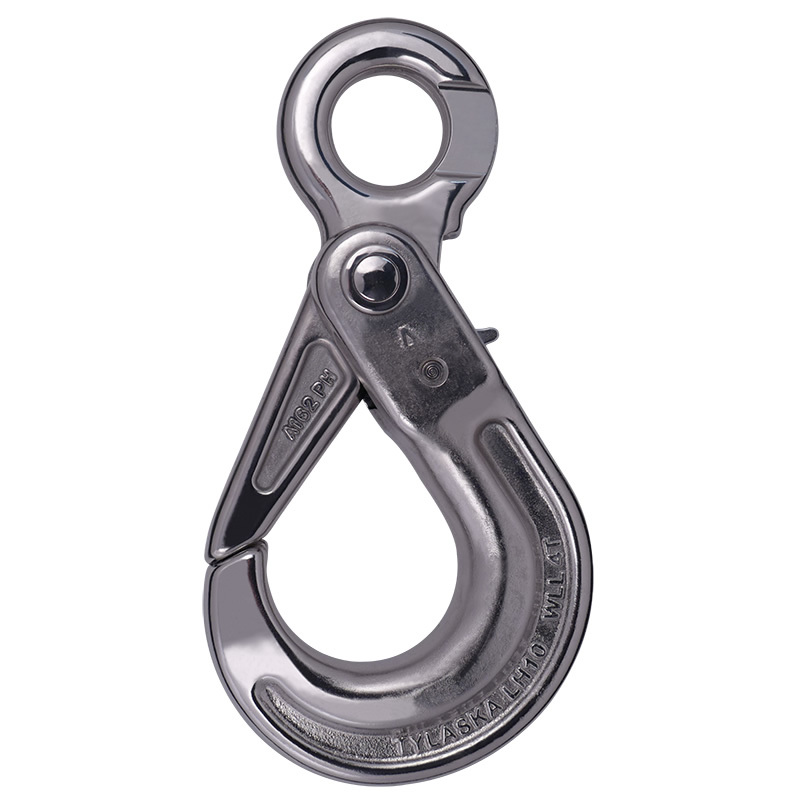 Unlike existing self-locking hooks, the LH10 is constructed entirely from stainless steel and is designed to withstand harsh marine environments where regular alloy steel hooks inevitably rust and seize up. The forged 17-4 PH stainless steel components are heat treated to a specific condition to ensure immunity to corrosion cracking. For customers looking for increased security and safety, the LH10 is available with a high visibility safety yellow powder coated finish. Meets CE requirements for approval as a lifting accessory. Fully traceable forged 17-4 PH stainless steel hook and latch. Dimensionally equivalent to self-locking hooks as defined in EN 1677-3:2001. 27% stronger than equivalent size grade 8 hooks. Suitable for use with Grade 80 and Grade 100 chain. 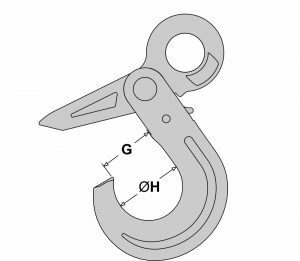 Every hook is proof tested to 2 ½ times the working load limit. Available in polished stainless steel or yellow powder coated finish. See below for specific dimensions. Read and understand instructions before using hook. Always ensure hook and latch are closed and locked before loading hook. Keep hands and body from between hook and load. Never use tip of hook for lifting. Never use a damaged or excessively worn hook for lifting. Never exceed the hook’s specified Working Load Limit (WLL). Never use hook in temperatures in excess of 400°F or below -30°F. Only use genuine Tylaska replacement parts.